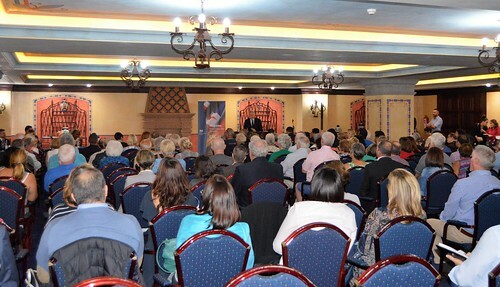 Just a few days after the UK’s Brexit Treaty Of Withdrawal was presented by Theresa May, the British Ambassador to Spain, Simon Manley addressed some 200 Brits at the Hotel Villa Cortes in Arona. General reassurance of business as usual was well received but when questions were invited from the floor, it became clear that there are still some key areas of concern that need nailing down. The 587 page treaty has to be accepted by the British and European parliaments by March 2019 to become international law, but the ambassador stressed that nothing will change before the December 2020 transition date and the best way for Brits in Spain to protect their interests is still to register with the national police as residents, and on their local authority padron. 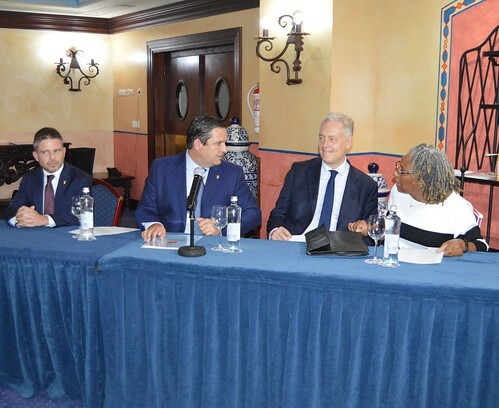 The mayor of Arona Jose Julian Mena opened the meeting by talking about the long history of British people living in Tenerife in general, and Arona in particular, over 7,000 are currently registered on the Arona padron. 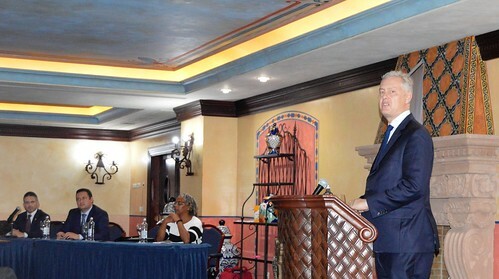 He spoke of the strong partnership between the communities and his hope that those ties would not be broken. 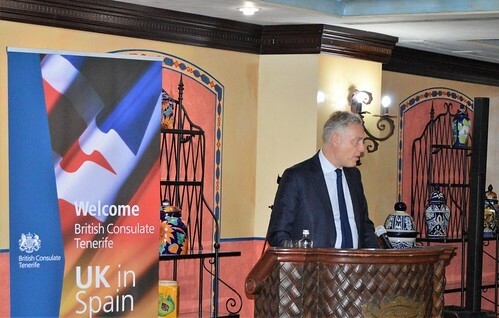 Echoing that partnership, the ambassador reminded everyone that ongoing Brexit talks are also vital to ensure that Spanish living in the UK would also keep their current rights. Common ground will be a great help in pulling together some of the outstanding threads. Another key part of the ongoing talks is a determination to allow Brits to vote in local Spanish elections as well as in their own in the UK. This is not guaranteed at the moment in the new treaty. Eager hands were soon up for open questions, many different circumstances exist among the ex pat population and this became clear in a question about how long part time residents can stay in Spain. This is another thing that is under discussion but cannot change until at least December 2020. Healthcare is always a sensitive issue, particularly who covers costs for treatment, Newcastle for many ex pat Brits. The questioner pointed out that Spanish claiming in the UK tend to be younger and less in need than those who have moved to Spain for a better climate in their later years. The Ambassador confirmed this and said that legislation going through the UK parliament now should allow for any imbalance in funds. There are clearly a few more hoops to be jumped through but it was good to hear that many points raised were at least already on the minds of the Ambassador,and the British Consulate team which included Charmaine Arbouin (British Consul for Andalucia and the Canary Islands). Employment fitted in that bracket. An employer at a British School in Tenerife asked if there would be problems recruiting new British staff from the UK after Brexit had been fully installed. The Ambassador said he had been asked the same from a school in Madrid, one of 100 British schools in Spain. It was another key thing to be ironed out but again was equally important to the Spanish, there are 12,000 Spanish students in the UK, so plenty of common ground to pull an agreement together. Disinformation and rumours abound over Brexit, the Ambassador and the British Consulate staff were keen to remind people to use the official websites, and social media outlets that post all updates as new information is confirmed. Try Living In Spain or this specialist Brexit site Then there is the British Consulate site, or the Healthcare In Spain site.